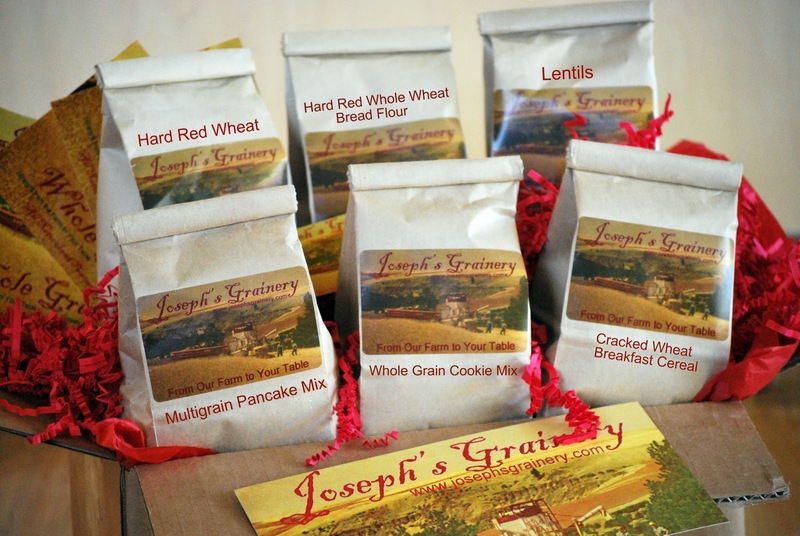 Joseph's Grainery: Let Us Help With Your Christmas Gift Giving! Let Us Help With Your Christmas Gift Giving! Are you getting a little stressed about what you're going to get those hard-to-shop-for people on your Christmas list? Never fear - Joseph's Grainery is here! Our Holiday Gift Pack is the perfect gift to send anyone that loves to bake, cook or eat a healthy diet that includes whole grains. We can simplify your holiday season this year, all you have to do is visit our online store, order the number of Holiday Gift Packs you need and indicate the shipping addresses and message to be included in each gift pack in the "Special Instructions" during the check out process. No shopping, no standing in line at the post office...just more time to enjoy with festivities of the season with your family. After all, that's what it's all about, spending time with your family, right?